We offer classes in all levels of ballet, tap, jazz, pointe, lyrical, hip hop, contemporary, modern, clogging, and acrobatics/tumbling. We also offer combination classes for dancers ages 4-6 years. For our youngest dancers, ages 2-4 years, we offer creative movement and tiny tumblers classes. In the fall of 2012 we established our in-house dance company, EXTENSIONS! Extensions Dance Company is a performance and competition company designed to increase creativity and esthetics, technique, performance and choreography in each individual. Because dance has the ability to educate “the whole person” (mind, body and spirit), students will also be able to build self esteem, learn self discipline and think critically as a member of our dance company. We will focus on dance as a means of communication without words as students express themselves through choreography of the teachers and director. In addition, students will have the chance to demonstrate these concepts through various genres of dance. Members of Extensions Dance Company must audition. Students who are currently registered with Chatham Dance Connection as well as future students are eligible to audition. You must be at least 6 years of age and agree to terms of rehearsal and commitment to the company by signing a company contract. Come join our AWARD WINNING company! Let your birthday princess, pop diva, Broadway baby or hip hop star celebrate their special day with a customized dance party! We offer various themes for your celebration or you can create your own. Each party will include studio rental, 45 minutes of dance instruction by one of our staff members, table and chairs, balloons, goody bags for the guests, one dance class coupon per guest, craft time and/or make over for guests and a special treat for the birthday girl or boy! Parents must provide paper products, refreshments and/or cake. All party guests and the birthday girl or boy must have a signed waiver before participating in party activities. There is a $50 non-refundable deposit that is due at the time the party contract is signed. Please contact us at chathamdanceconnection@embarqmail.com to schedule your party today! CHOREOGRAPHY - WEDDING DANCES, QUINCEANEARAS, AND MORE! Make your special day one to remember with customized choreography. We offer choreography for wedding dances, including your couple's first dance, father/daughter dance and wedding party dance. We also customize choreography for quinceaneras. You and your court can learn to waltz or rock the party with a special surprise dance. The special young lady and her father can prepare a father/daughter dance that will delight everyone in the ballroom. In addition to weddings and quinceaneras, we also provide choreography for any special occasion. Maybe you are planning a flash mob or a birthday surprise for a friend or relative. 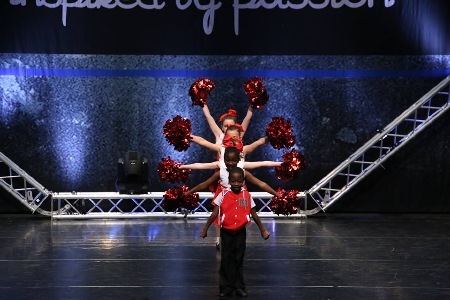 We can assist in teaching you a routine that will excite and amaze your audience! To schedule your choreography lessons and set up a rehearsal contract, contact us at chathamdanceconnection@embarqmail.com. We look forward to helping you make your special day one you won't forget! All of our students and teachers perform in our annual dance recital. This year's show will be held on Saturday, June 1, 2019 at Northwood High School.